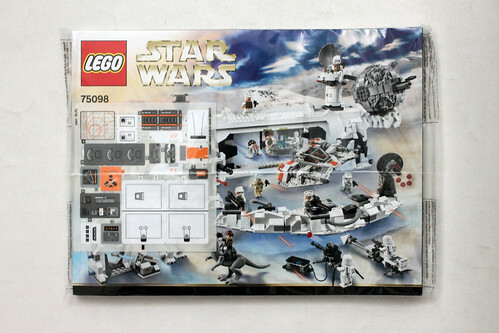 The May the 4th flagship set for this year was announced back in February with the LEGO Star Wars UCS Assault on Hoth (75098) . Almost immediately, there was an overwhelmingly negative response to the set and pretty easy to see why it got such as response. Let’s take a deeper look at the set to see if all of the negative press was warranted. In regards the to the AT-AT, the set was actually released in 2014 and retired last year so that quote is misleading since it was reported that the Assault on Hoth was rumored to be released late last year and the text wasn’t changed. 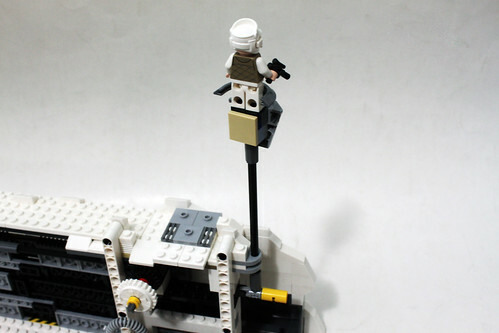 For the extendable lookout, the designer, Hans Burkhard Schlömer, noted the attention to detail especially for a UCS set but yet added a feature that isn’t totally accurate since there wasn’t a lookout tower on Hoth. 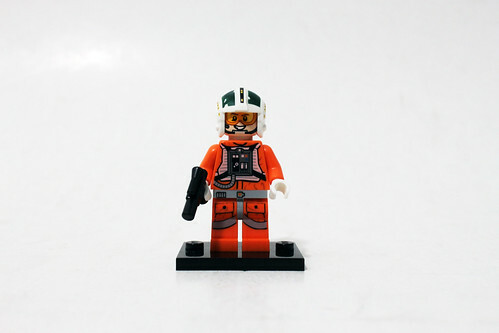 There are a total of 15 minifigures in the set: Luke Skywalker, Han Solo, Toryn Farr, Rebel Officer, Wes Janson, Wedge Antilles, K-3PO, 5 Rebel troopers and 2 Snowtroopers, plus an R3-A2, Tauntaun and a Wampa. 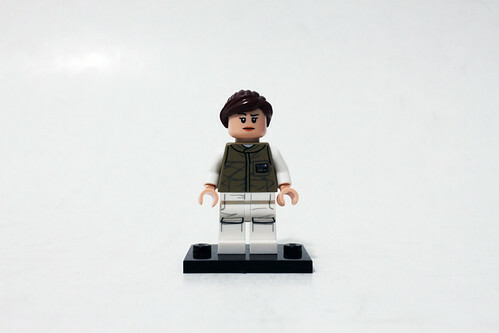 Luke wears a dark tan outfit that is similar to the one the Rebel troopers wear however his has some belt printing as well as a rank insignia. He has a double-sided face with a normal smile on one side and a bruised face on the other after being attached by the Wampa. 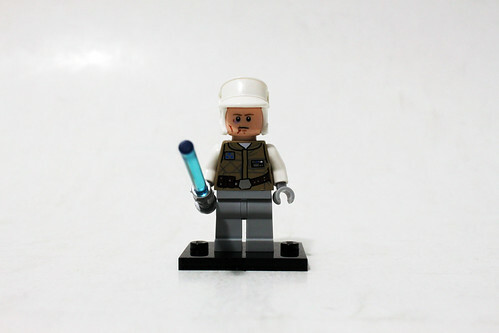 His accessory is his blue lightsaber. 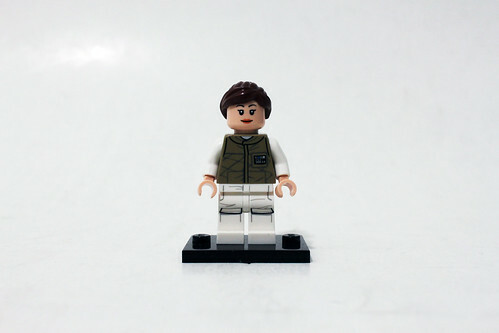 Han Solo wears a brown parka and is similar to the one in the Hoth Attack (75138) except that the one in this set has brown hair instead of the hood. 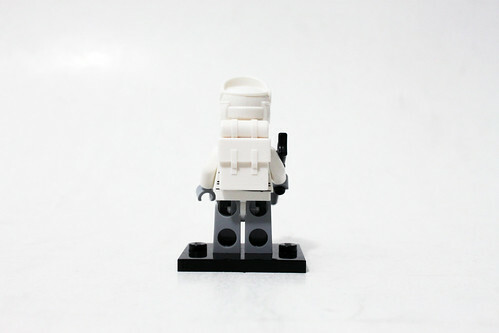 The torso is exclusive as the back of it does show the hood down. He also has a double-sided head with a smail and a frown. 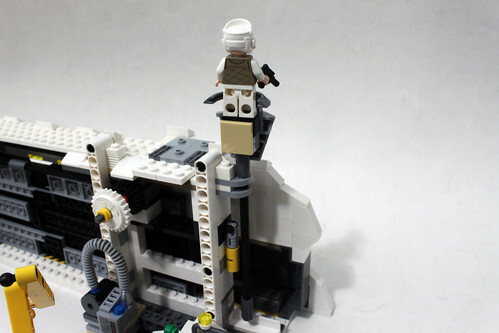 His accessory is a blaster pistol although I wish there was a hood to recreate the scene with the Tauntaun. 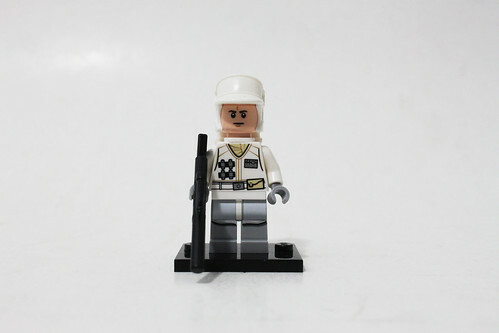 Toryn Farr is a brand new minifigure although she doesn’t have any exclusive parts. 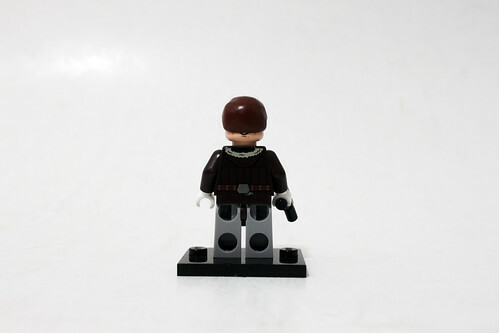 The torso and legs are used by other minifigures in this set which is somewhat disappointing. The hair piece that is used could have been a different one to add her headphones. 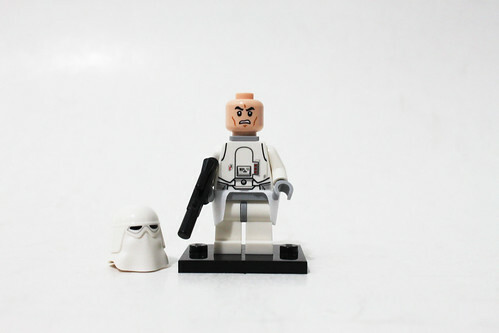 The Rebel Officer is obviously Major Bren Derlin but isn’t named probably due to licensing issues with the character. The torso is new and has a red rank insignia with some pockets and belt printing. The face printing is spot on with his large moustache. He also wears a white helmet that also includes the googles to go over the eyes. 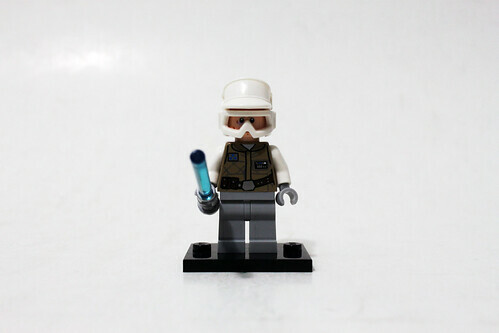 His accessory is a blaster. Next up are five other Rebel troopers, where a couple are wearing the same outfit as Toryn Farr while others have white outfits which was first seen in the LEGO Star Wars 2015 Advent Calendar and is currently in the Hoth Attack set. 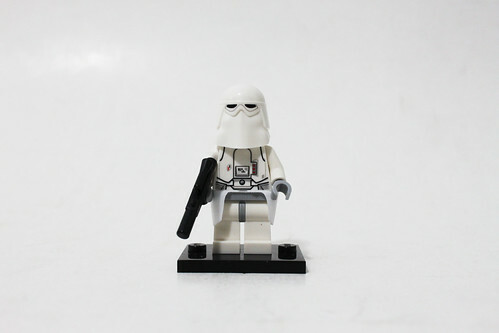 Their accessories include blasters and rifles. 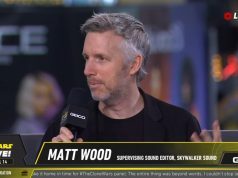 Both Wes Janson and Wedge Antilles are included in the set to pilot the Snowspeeder. Both wear the orange Rebel Pilot outfit that has been seen before. 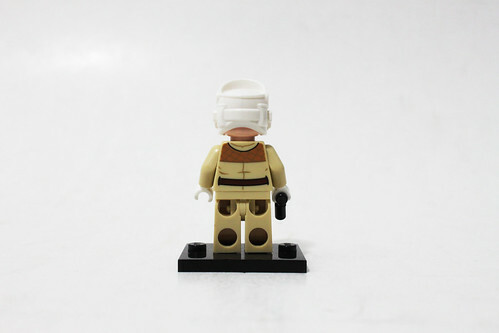 Wes is technically a brand new minifigure with the new printing for the helmet. 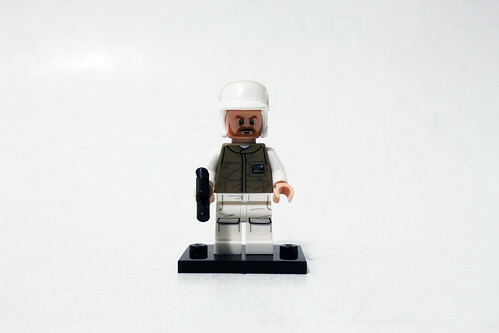 Wedge is not a new minifigure but his helmet has been updated as well. K-3PO makes a return as a minifigure but with updated details. 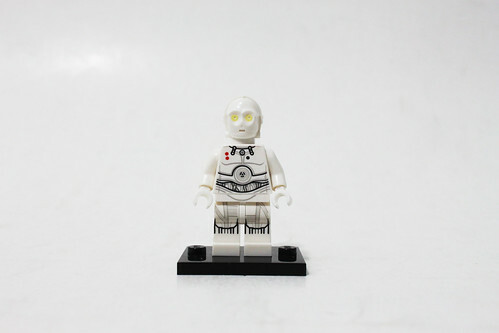 The protocol droid has white plating for a majority of the minifigure with some red spots on the torso. His eye sensors are yellow which is nice to see. 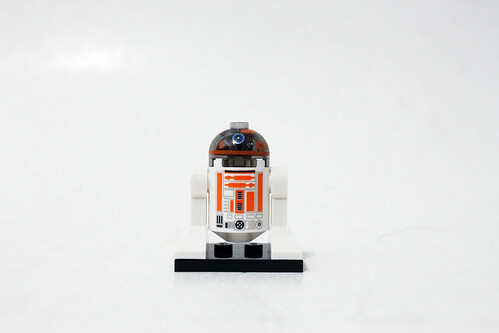 R3-A2 has a similar form to other astromech droids. 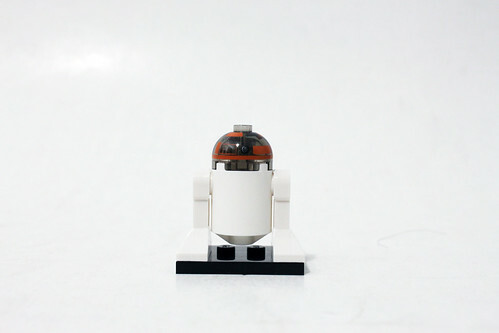 For this droid, it has an orange and white color scheme with a trans-black dome. Finally we have a couple of Snowtroopers to battle the Rebels which is somewhat disappointing because of they have been clearly outnumbered. Both Snowtroopers have a white armor torso and legs. They also have a fabric kama around the legs. In addition, they each have a backpack that is attached by a neck brace. Their accessories are a couple of blasters. 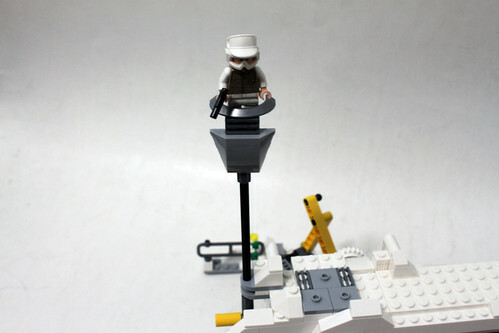 On to some of the larger figures in the set, the first one is the Wampa which makes its return in a LEGO set. 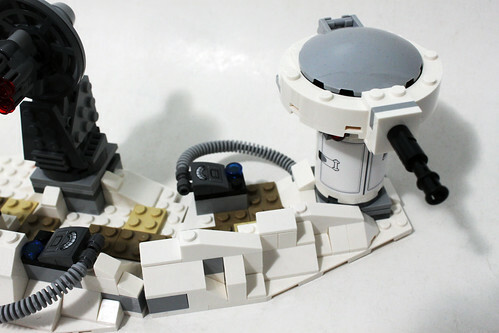 It is the same one that was in the Hoth Wampa Cave (8089). Although the Wampa isn’t directly related to the Battle of Hoth, it’s a nice little addition especially for those who missed out on the previous set. 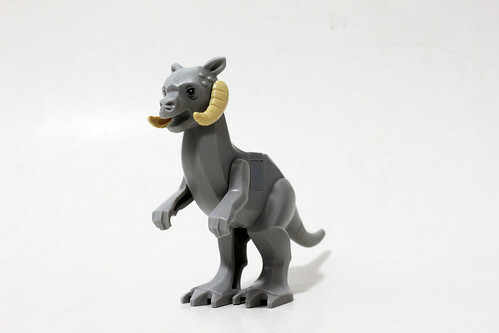 The other large figure in the set is the Tauntaun. 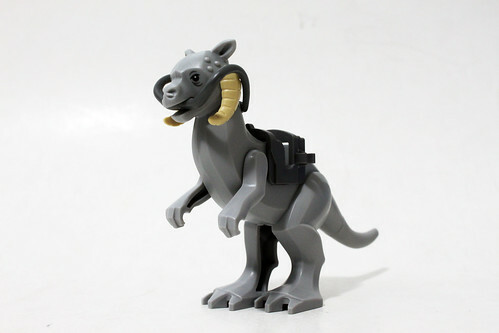 The mold for the Tauntaun is also a repeat but it really doesn’t need any changes. 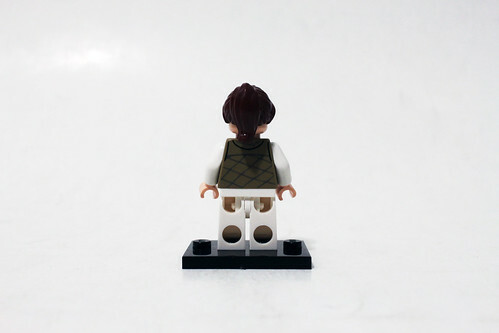 It does include the saddle for Han to ride on as well as a brick to fill the gap when you remove the saddle. Again, a pretty good addition if you don’t have one yet. 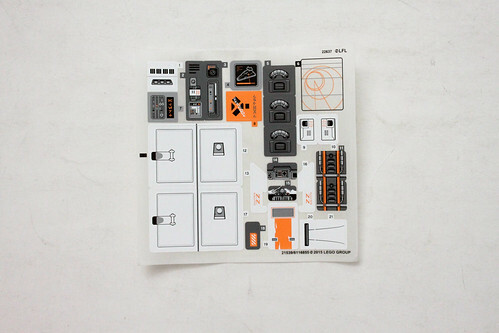 All of the components for the Assualt on Hoth are mostly separated into their own bags. 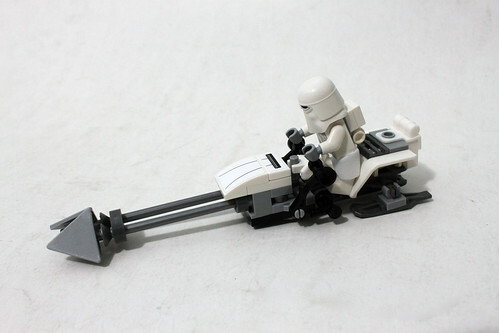 The first part of the build is the speeder bike. It has the general look of it and has some stickers to give it a little more detail. The E-Web is next and it’s decent looking. It is on a tripod which uses harpoon pieces as the legs. There’s a stud shooter on top to give it some play features. Next to E-Web is the power generator which is attached to it by a string piece. Next up is the small trench section which actually doesn’t look too bad. It has a slight curve that makes it look good from any angle. 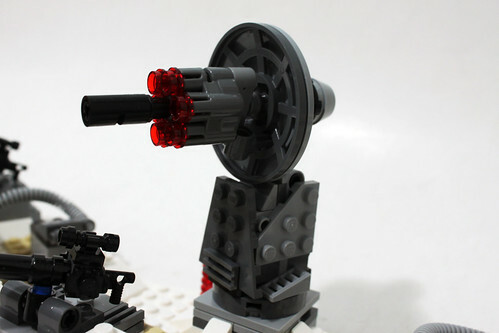 On the left side, you have a couple of brick-built heavy blasters. Right in the middle is 1.4 FD P-Tower that is able to rotate. 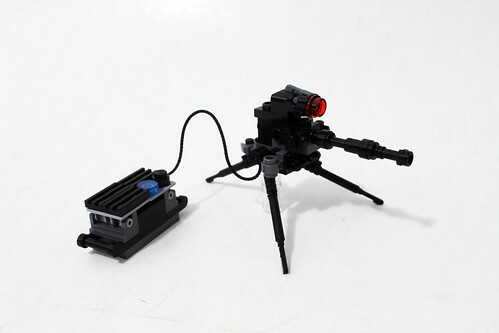 It has the shape of the source material but the six-stud shooter that in front of it takes away from the overall design. It also has some extra ammunition stacked up on the side. Finally around the trench area are two DF.9 laser cannons, one of which can be attached on one end of the trench. Of course you can remove it and move it around as you see fit. Again, the overall design is okay even though the upper turret area is a tad bit large and unproportional to the cylinder. The gray hatch on top also looks a little out of place with all the white surrounding it. There is a sticker around the cylinder that gives it some more detail. 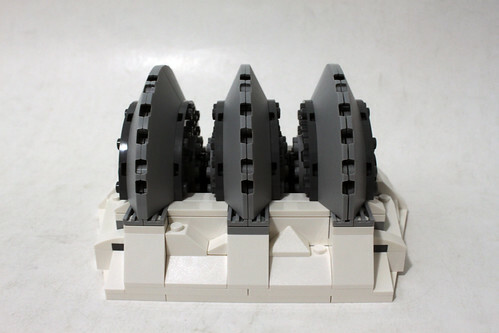 The next part of the build is the DSS-02 Shield Generator. 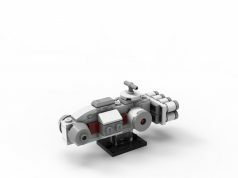 This is a new model to the LEGO Star Wars line but if you look at it, instead of having four modules, it’s missing one. 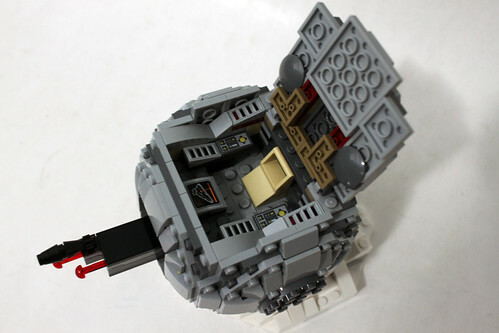 Again, not totally accurate as we have come to expect from an UCS set. 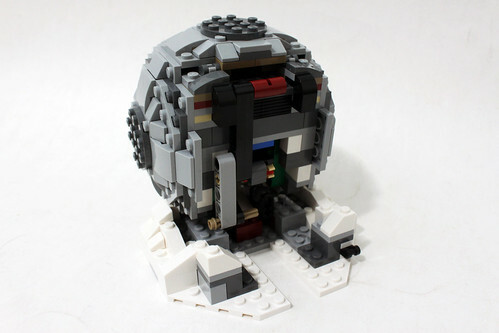 The back of the structure is lacking in detail as it only has a lever to make it explode. Speaking of which, the play feature is good as the modules aren’t held attached to anything and can be blown off with a press of a finger. 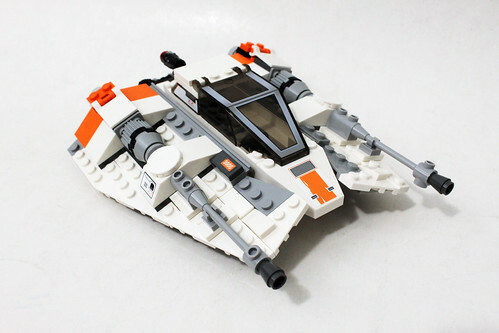 Following the Shield Generator, you create the Snowspeeder. 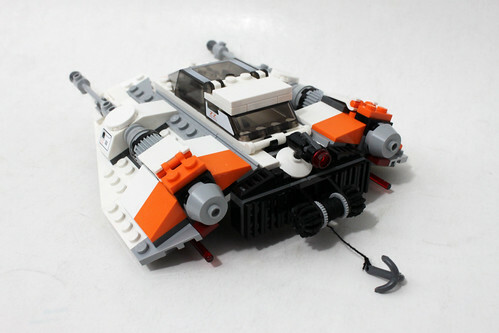 If you have the recently retired Snowspeeder (75049), there are some very subtle changes to it. The orange colors are now more prominent in the front and back and is screen accurate. 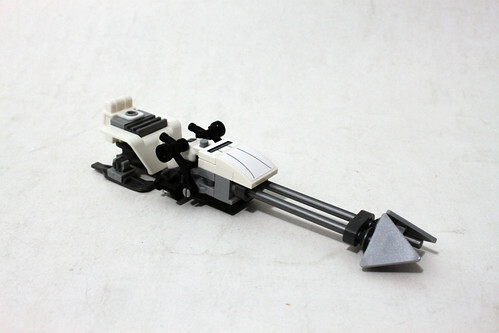 The back of the Snowspeeder still has the harpoon which can be let out by turning the gear instead of shooting it as with the previous model. 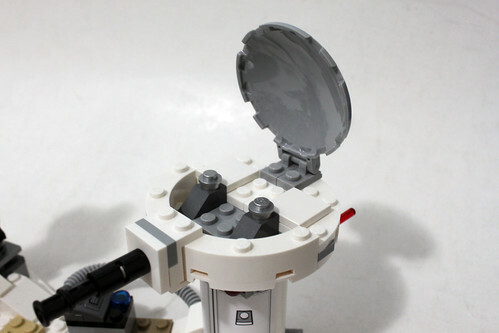 The cockpit area is able to hold two minifigures with the windshield being the same as before. 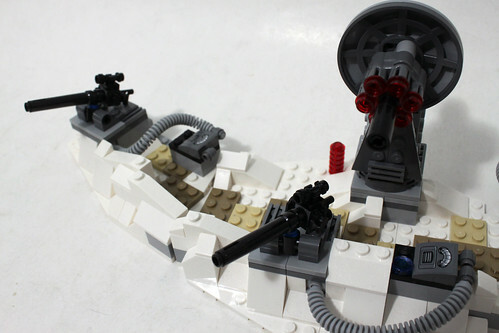 Some of the play features include a stud shooter in the back and two spring-loaded missiles on the bottom. 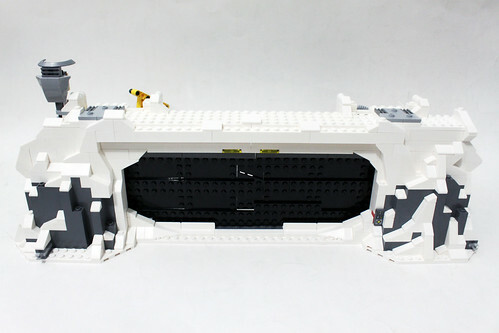 Next up is the largest part of the build with the Rebel Echo Base or shall I say, the Echo wall. From the front, it look great. The doors are able to open and close with a turn of a gear on the back side. 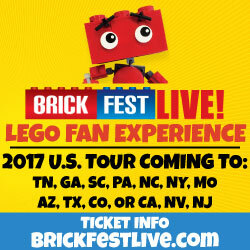 If you look closely at the control panel, there’s a random red Travis brick that is exposed. 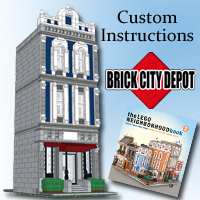 I’m not sure why the reasoning for using the red brick as a white one can be used and not be so conspicuous. The top of the structure has some mounting points for the DF.9 laser cannons to give a variety of different looks but it didn’t happen in the movie. On the back side, it looks absolutely atrocious like it wasn’t even completed. 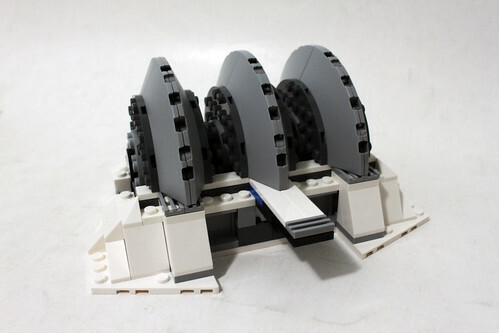 There are a lot of exposed Technic parts especially for the gears that open up the door. For the functionality, the doors open and close smoothly. 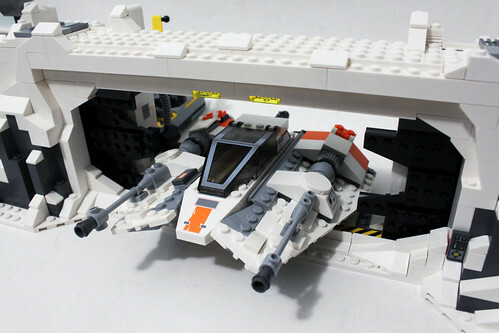 With the doors open, there’s just enough clearance for the Snowspeeder to fly through. On the end of one side of the base is the scout post which many people think is one of the worst features of the set because it’s not supposed to be there. The designers took liberty in adding it after seeing the tower in the Yavin IV scene and thought Hoth had something similar. 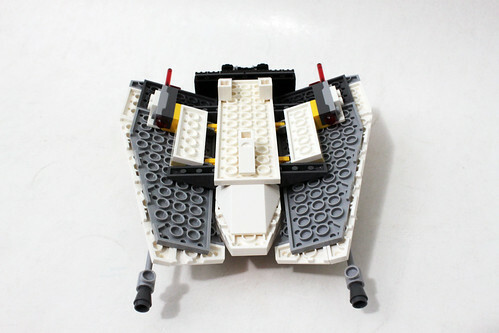 Nevertheless, it is able to move up and held in place with a couple of parts and is also exposed on the back side. I feel that the lookout tower should have been removed and the parts be used to improve other parts of the set. Next to the tower, there is a stable for the Tauntaun fitted with some shrubbery. On the opposite side of the stable is a crane used to remove the cargo boxes from the cart. 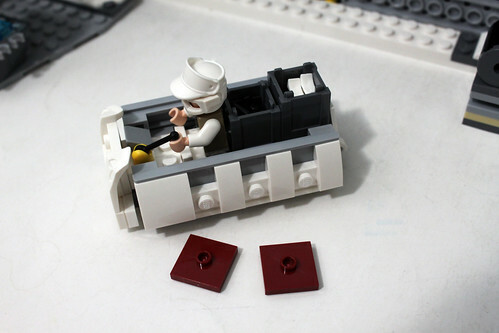 If you look at the control panel, there is a sticker with Aurebesh that reads “alert.” Speaking of the cargo cart, there is room for a driver and two boxes which contains a couple of blasters and binoculars. On the other side of the gate is a small command center consisting of a stickered holograph display in the middle and a couple of consoles on the wall. There’s also a couple of clips to store some extra missiles. 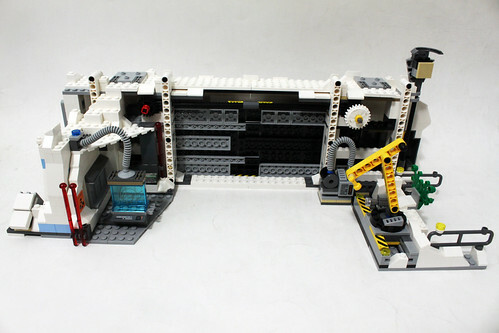 As important as this area is in the movie, this is actually one of my main disappointments of the UCS set. You would think that a set with that label would have something more substantial to it. On the other side of the wall of the command center is the Wampa cave. 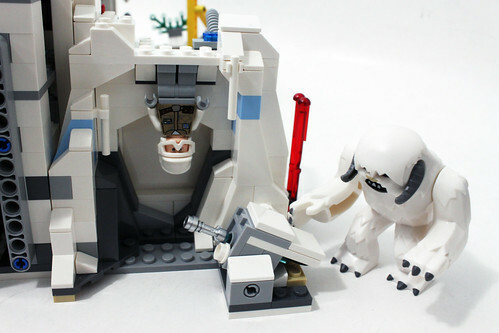 It is basically a smaller version of the previous Wampa cave set that consists of white and gray parts to show an icy cave. Luke is again hanging upside-down as he was in the movie while his lightsaber is in the snow. The feature of tapping the lightsaber out is taken from the previous Wampa cave set to show Luke using the Force to remove his lightsaber from the snow. Finally, we have the v-150 Planet Defender ion cannon. It has the spherical shape as the source material but it is somewhat small. 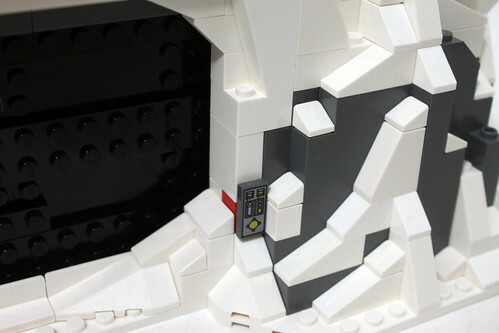 The hatch is able to open up to see the controls on the side with room to seat a minifigure. 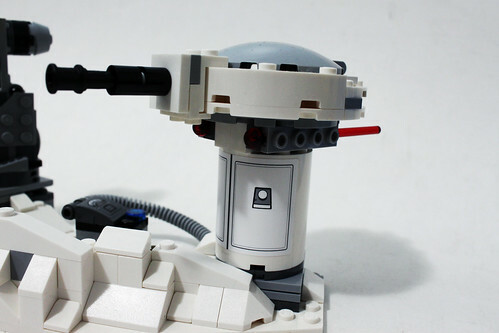 There’s also two missile launchers to replicate the two distraction shots to allow the Rebel transport ships to escape. As with a trend of the previous models of the set, the back part is terrible. 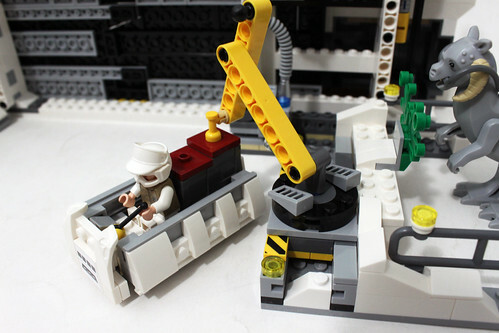 You get a variety of colors from the Technic pieces used to create the cannon. There is a lever to pull down to shoot the missiles and it works rather nicely. 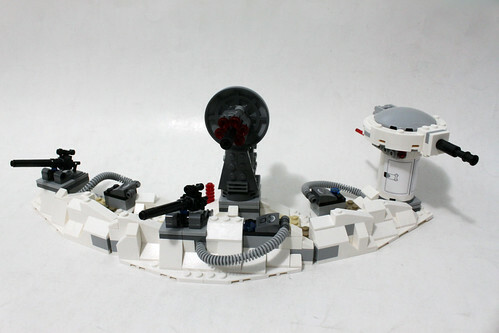 Overall, the LEGO Star Wars UCS Assault on Hoth (75098) can be seen as both a good and bad set depending on what perspective you at it. 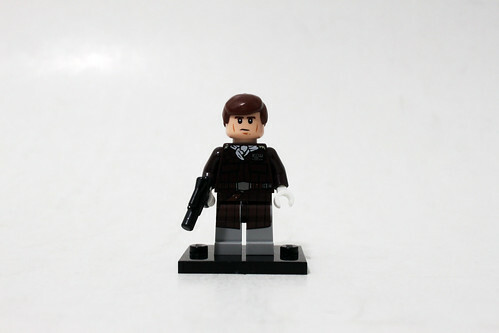 From the traditional fans who have collected previous UCS sets, this is an absolutely terrible set. 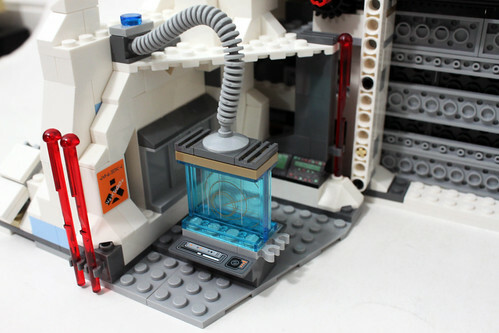 We expect a set with the UCS title to be something substantial and not a playset like this one. Even as a playset with individual models, it was bad. Some of the details were sloppy like the missing fourth shield generator or the back of the models where it just looks incomplete, especially on the ion cannon. The back of the gate is also bad with the exposed gears and such. There were also questionable designs like the lookout tower on the gate where it isn’t even shown in the movie but was included in the set. Furthermore, the minifigure selection is definitely weak with some major characters in the scene were omitted and the Imperial Forces are severely outnumbered. Also, the price of $249.99 is a little too much for what you get. 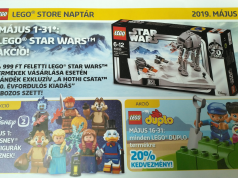 There was an image that was making the rounds after the official images were released which shows that the set is actually a couple of sets in one with the UCS label slapped on it. Even if you bought the sets separate when they were released, it would’ve been a similar playset depending on what sets were included. 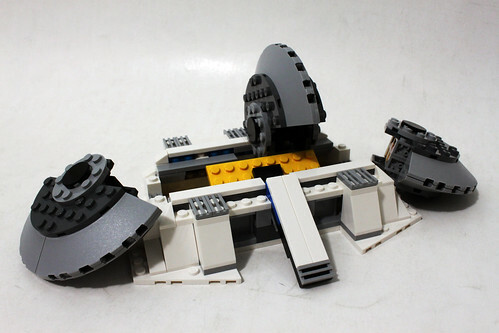 The inclusion of an AT-AT, even a smaller one than the 75054, would have justified the price the set a little bit. Even with all the negatives of the Assault on Hoth, there are also some positives. 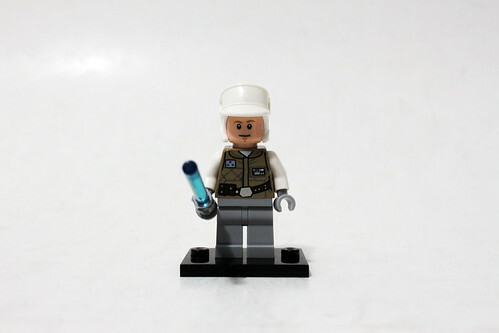 If you haven’t purchased any Hoth type sets, then this set is great. 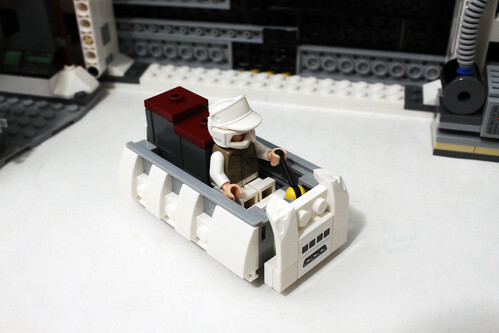 You get a lot of builds related to the Hoth scene. Also don’t forget that the target audience is geared towards children who may think that this is the coolest set ever. The Snowspeeder is pretty accurate and I do like some of the play features like the blast doors, which I was pretty impressed on how smooth it was, and the firing feature of the double missile launcher on the ion cannon. 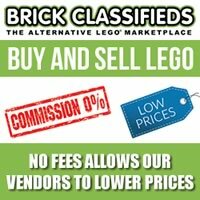 Would I recommend the UCS Assault on Hoth? Well that really depends. 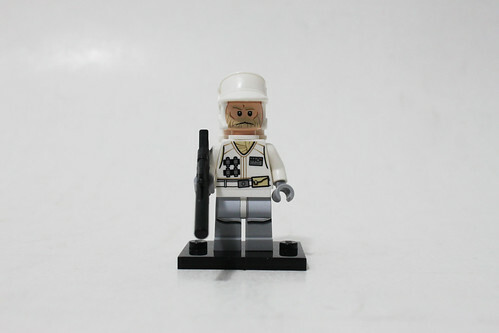 As I said before, I would recommend for people who do not have any previous Hoth sets. Even if you have one or two, they would nice expansion sets to complement this one. As for me as a LEGO Star Wars collector, I simply do not recommend it simply because an UCS set is supposed to be something that you would want to display and the Assault on Hoth playset does not make me want to do that. 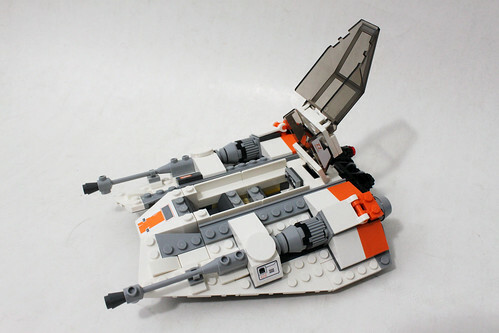 Compared to previous UCS sets, I feel this one ranks as one of the worst ones. 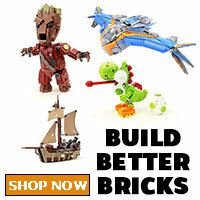 I wouldn’t be surprised if the set has a shorter shelf life and other UCS sets. 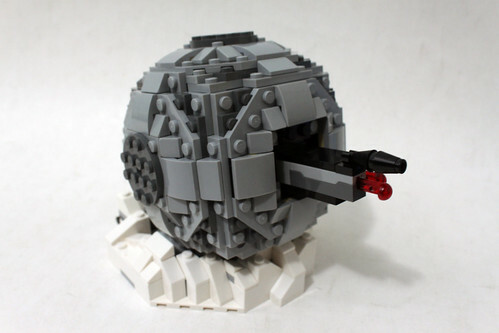 There is another LEGO Star Wars exclusive that is reported to be released later this year with the Death Star (75159) so hopefully that one will be better. 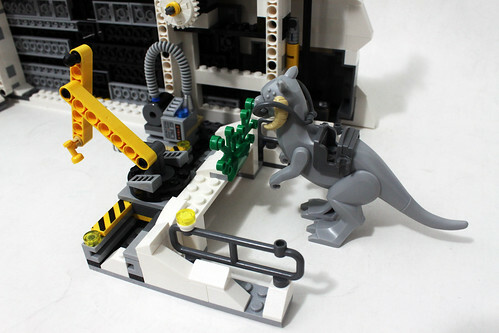 Thank you to LEGO AFOL Relations & Programs (ARP) team for sending in this set for me to review. The content above represents my own opinion and not the company.